Her name is Cinni Mini. That was because it was what her colors reminded me of, the "Cinni Mini's" that Burger King used to sell. Cinni Mini was born and raised in a kennel until she was six months old. Her breeder had thought her sold twice but each time the buyer backed out before she got to go home. She was shipped to me by Air and I picked her up in Reno while on vacation visiting family and my best friend. Needless to say she was very afraid and not at all sure she was going to like me. Over the next couple of days she sat in my lap as I worked teaching someone how to use a computer and mouse for the first time. She never made a sound, but by the time we drove home to Elko she had decided I wasn't so bad. Then she met Barkley and fell in love. Barkley love her too, so that was perfect. 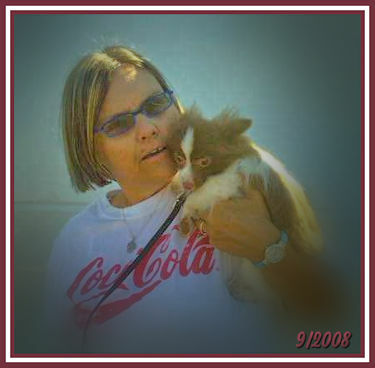 They were my constant traveling companions as I drove long distances for my job. Eventually I had to board them to attend school for my job and they had to be boarded. While in class I got a call from the Kennel telling me that Barkley was mating her. This made me very happy because I wanted her to be a mommy. 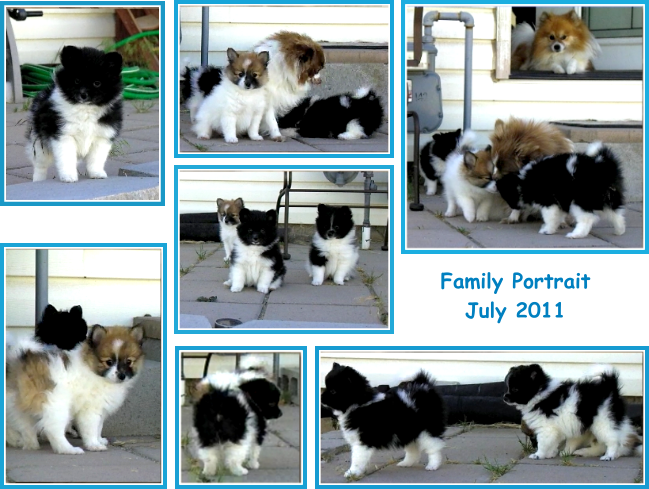 Their first litter was born on September 6th 2009. Three wonderful pups, two girls and a boy. This website and all images therein are copyrighted © to Merlene Guldager. This document may not be translated, duplicated, redistributed or otherwise appropriated without permission.